“Today is my day, your day will come.” Prime Minister Dr Keith Rowley yesterday channelled late Ethiopian emperor Haile Selassie, giving criminals and the communities that enable them an ultimatum against “terrorising” law-abiding citizens. 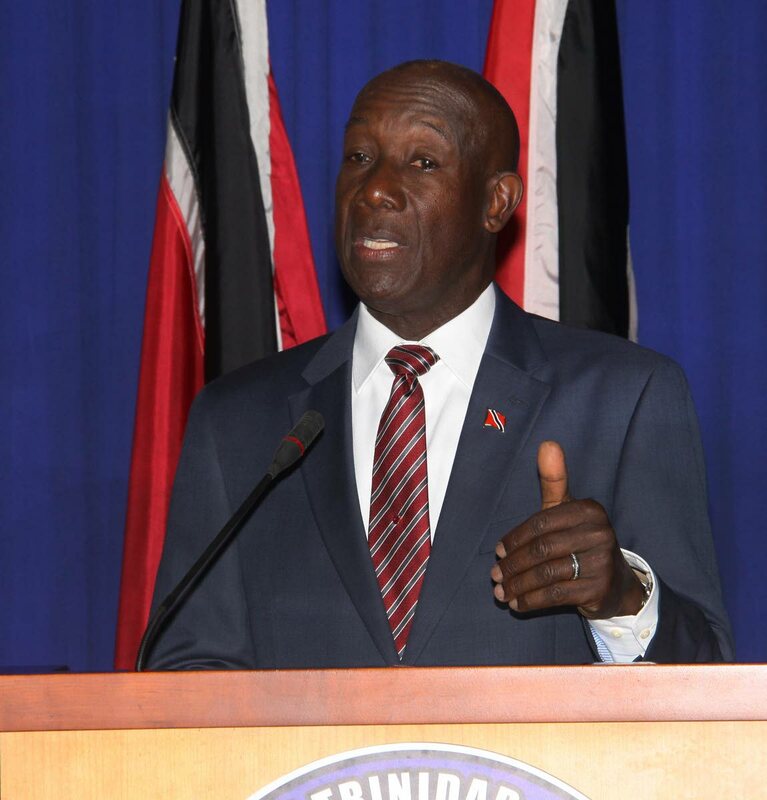 “As you encourage wrongdoing when you know that persons have suffered that kind of injustice, if that becomes the way of life in the community it is only a matter of time before you get put out,” Rowley avowed, as he addressed the nation from the Office of the Prime Minister in St Clair. He was responding to Thursday’s protest in the Beetham community when residents objected to the arrests of two people by blocking the Beetham Highway with debris and firing gunshots at police. He acknowledged protests have been taking place across the country for “quite some time” as citizens express their frustrations in a way that would guarantee national attention but, in so doing, end up breaking the law. He suggested some people were exploiting these protests to exert control over their communities. Protests had become the normal way for people to express themselves, he said, but after Thursday, where citizens’ constitutional right to freedom of movement was restricted, a line had to be drawn. What happened on Thursday, he said, could have “turned out quite nasty” if officers had reacted differently. Police had reason to go into the Port of Spain area and question some people, he said, and the community reacted by obstructing the police from conducting these lawful activities. This attitude was advocating anarchy as a way of life in Trinidad, he said. Rowley also addressed unlawful evictions. He said he had raised the issue with the former government when he was in opposition after meeting a man who had been forced to live in a back room of his house after two men invaded and subsequently took up residence there. He said such invaders should face extra punishment and he was instructing the Commissioner of Police, with support from the Defence Force, to crack down on illegal evictions. Reply to "PM to criminals: Your day will come"